People watch television shows and movies for different reasons, and sometimes, one does watch a mixture of things based on different reasons at a given point in time. Sometimes, we watch things to be entertained and to escape from reality, sometimes we crave more realism and would rather be confronted by the harsh realities of life, and sometimes we watch for both of these reasons, and that can also be applied to one’s reasons for watching a particular show or movie. However, when these two end up clashing in one television show or movie, and it depends on the way it is handled and executed, it could leave audience members with either a mixed reaction, or a strong or negative reaction to it. 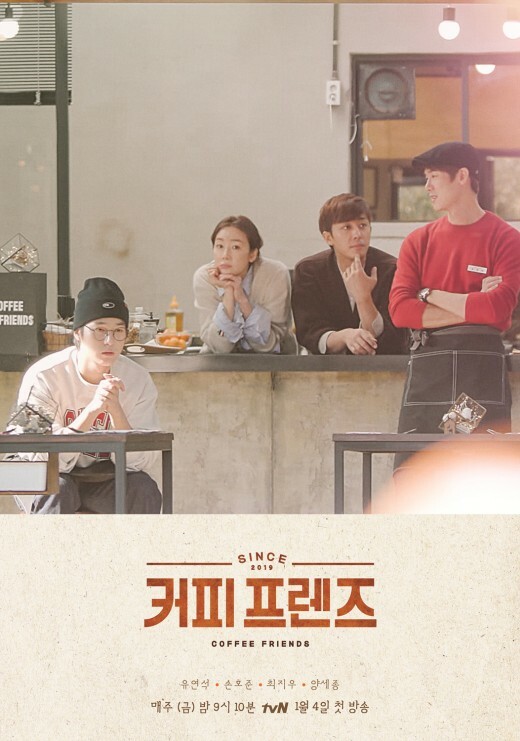 Based on the audience response to JTBC’s “Something in the Rain”/”Pretty Noona Who Buys Me Food”, which is also now available on Netflix, the latter is exactly what happened to this well directed and well acted romance drama that was also Son Ye Jin’s comeback drama and Jung Hae In’s first drama as the male lead. “Something in the Rain” or “Pretty Noona Who Buys Me Food” is a romance drama written by Kim Eun and directed by Ahn Pan Seok (“Secret Love Affair”, “Heard it Through the Grapevine”). As mentioned earlier, this drama marked Son Ye Jin’s return to television after five years; and it also was Jung Hae In’s first ever drama as the main male lead. The drama tells the story of Yoon Jin Ah (Son Ye Jin), a 35 year old single career woman who coasts through life; and what happens after she starts developing feelings for her best friend’s younger brother who also happens to be her younger brother’s best friend, Seo Joon Hee (Jung Hae In), after he returns home to Korea after working in the US for three years. The rest of the drama is character driven and explores the different stages of their romantic relationship with each other, the choices that they make, and how they deal with the society around them and the mounting pressure that is often placed upon them by society and parents. During the entire drama, while watching Jin Ah’s journey and the ups and downs in her relationship with Joon Hee, it would be good to keep in mind that the director, according to reports, tries to explore and directly pose the question of whether what the main characters are experiencing is love. This drama was well directed and had great cinematography, particularly in the way they utilize lighting throughout the series. It was shot in a cinematic way, making it feel like an movie instead of a tv drama. Aside from this, based on articles and behind the scene clips, it seems that the entire process was highly collaborative between the actors and the director, which gave the actors more agency to try different things creatively to explore their characters more. The acting in this drama was top notch, from the main leads, all the way to the secondary and minor characters. Each character felt truly grounded in this universe that they lived in, and although we may not have agreed with them at times, they felt very real. Son Ye Jin was amazing, and proved that she still has what it takes as her performance was controlled, nuanced, and according to various articles, she had a lot of creative input in how she portrayed her character, which meant that she truly understood and embodied Yoon Jin Ah. This was also a great series for Jung Hae In to make his leading role debut, as he proved what a great, collaborative, and nuanced actor he can be. Their chemistry together was easy and amazing. Aside from them, Jang So Yeon, who portrayed Jin Ah’s best friend and Joon Hee’s older sister, Seo Kyung Seon, was a stand out, as I saw her previously in “My Father is Strange”, and was blown away by her range here. This drama has its haters, lovers, and those who stand in the middle ground due to how events unfolded for Jin Ah and Joon Hee. Many people were drawn to this drama because of Jung Hae In, and maybe others because of Son Ye Jin. However, I do applaud this drama for having the guts to try its best to show us the different stages of a relationship in a realistic manner, and in a way which made sense for these characters, whom I do believe, are quite unconventional when it comes to Kdramas as well. While there was a lot of cotton candy in the beginning half of the drama, the harsh realities of things come about in the last half, and they allowed their characters, with all their flaws to dictate what would happen to them next. So while not a lot of people will like how things turned out, I am glad that it was consistent with their respective characters, and it gave viewers to see a different way of portraying a relationship. However, this drama, and in particular, the last half of the drama definitely has rubbed people in the wrong way, but I think that in the end, the director succeeded in getting people to think and talk about love and what happens after that initial honeymoon stage, and how a couple tackles problems. Aside from this, the director tried to make a statement about women and how society views them as well. Although how that issue was resolved didn’t sit well with me in the end, I can also see how this can also happen in real life, which, I think, adds to the frustration of the viewers. I must warn those who do want to watch this drama though, that because it gets a little bit too real, the last half of the drama may be a little bit hard to watch, so I recommend pacing the last half with an uplifting or fun drama of your choice, and to let the drama simmer in your mind after the finale. I discovered that letting it simmer for a while allowed me to take a step back, get over some of my frustrations about the drama, and allowed me to see the message and the good things this drama was able to achieve. What is different about this drama is that even though we get frustrated at the way the characters react, behave, and make choices, on some level, the relationship that we were presented with, and how they reacted to their problems and what happened after is believable. Many, myself included, have gotten annoyed at Jin Ah and how she reacted to things, but after taking a step back after watching the finale and taking Jin Ah’s character to mind, she ended up reminding me of actual real life people who do take two steps back for every step of improvement they’ve done, and who end up becoming products of the environment that they were brought up in, and those who actually do have parents who are just as toxic as Jin Ah’s mother was. I am glad that this drama didn’t shy away from showing us the reality of things when problems came Jin Ah’s and Joon Hee’s way, and I think that in the end, the choices that they made and how they behaved were very consistent to how they are, good things and flaws in all. Jin Ah is a woman who has become passive, submissive, and is a follower because of the way society does look upon women being the peacemakers and especially because of her domineering and very judgmental mother. She is a product of her upbringing because she would rather say things, compromise her own values and personality, and not upset the boat so that her mother would be happy, and thirty five years of being like that is hard to change overnight. However, because of this, Jin Ah ends up enabling others, and especially men who just step all over her in romantic relationships and in the office as well. This has also caused her to be an expert at deflecting and diffusing situations right away, and lying so that no one would be upset at her, which, in this drama, ended up being a fatal flaw, especially when it came to her relationship with Joon Hee. I think that Jin Ah was flattered and infatuated with Joon Hee rather than truly loving him with all her heart, and the early stages of their relationship was a reaction to the last failed relationship she had. There was also the novelty of it being a secret from others, and it was truly fun while it lasted. However, things became a problem once Joon Hee wanted to make their relationship more public and when they started confronting problems together. For me, Joon Hee has always been the one who was head over heels over her, and is the one who is really pouring every inch of love he has into this relationship. He’s the one who’s willing to risk and sacrifice everything for her, and when he does lie to her, more often than not, it feels justifiable as he’s protecting her rather than Jin Ah’s lies, which she admits to, says she’ll never do it again and then does it again. It’s understandable why many deem him as too overprotective, but in Jin Ah’s case, it’s not hard to see why as she has a knack for getting into a lot of trouble if its not a work related matter. However, he does have his flaws- he lives in the moment, is temperamental, has a temper, and while Jin Ah withdraws from society to escape he tends to run away. When the honeymoon phase was over, all the problems and incompatibilities started rearing their ugly heads in terms of their relationship. One of the biggest problems is their horrible lack of communication with each other, and especially when it came to Jin Ah. Joon Hee does show that he tries to talk about issues, but Jin Ah expertly deflects and acts like a teenager so that he can forgive her after they get playful with each other. However, he also doesn’t try again to talk about it after things have cooled down a bit. Although they do like each other very much, aside from the differing levels of how much they love each other, one big thing is that these two in the end were not truly on the same page. Joon Hee is willing to settle down with her already while Jin Ah, at the VERY end of the series is only experiencing TRUE INDEPENDENCE only now. She needs to find herself first before she can really commit to a real relationship. This was telling when Joon Hee told her that he wants to be with her forever and she responded by hesitating and forcing him to reconcile with a father who only reappeared now. However, I’m glad that she did verbalize that in the break up scene in which he gave her that necklace. Many have gotten annoyed at Joon Hee for making that decision to go the States thinking and assuming that she’d go with him. I know that he feels that he was trying to help and save her, but at the same time, he should have cleared it up with her first. Many have also mentioned that it doesn’t seem that Joon Hee did a lot of growing as a character. However, the way I see it, he had more of an established character and personality, and this drama was always about Jin Ah and her own growth as a person. Regarding the ending, I do think that three years was too much of a time gap, and even though I do know that it’s hard for people to change overnight, I would have liked to have seen a little more than just a few instances showing that Jin Ah had really grown up and changed, which would give us more tangible hope in their relationship succeeding a second time. I do, though, understand why they left things so ambiguous in the end, although it felt rushed. This way, those who want them to end up together will be happy, while those who are ambiguous and don’t like their relationship can also speculate that they might not end up working out again this time around. In this way, I think that if the show was going for realistic, then I think that they did deliver, in a sense, because they did seem real in the sense that they were complex characters and that they were extremely flawed, just as real people are. I did love the initial falling in love and honeymoon phase of their relationship, and I think it was interesting and good that they did show how a couple can go from being on cloud nine, to be mired in problems once that phase is over. I was surprised that I did feel a lot for Kyung Seon and Seung Ho, who were wonderfully portrayed by Jang So Yeon and Wi Ha Joon, respectively. I loved Kyung Sun’s devotion to Jun Hee as a surrogate parent and older sister; and as Jin Ah’s best friend. I didn’t think much of Seung Ho at first, and then after discovering that he was suicidal due to his and Jin Ah’s emotional abuse, and how he actually tries to look after his sister, he won me over. A lot of people were turned off by the mom, and I was too. However, unfortunately, I know that some mothers can be like this, and I know that there are some mothers who don’t know that they are actually emotionally abusing their children. This is why, when things get too toxic, it’s really time for the children to leave, for their own emotional well being as well. I do understand that in her heart, she really thought that she was doing what was right, but in the end, the execution and the way it was done wasn’t right, as at times, she ended up removing their own agency to do things and make decisions on their own. Now, let’s go to the workplace issue. I like that they tried to address the whole #MeToo thing, but in the end, it felt like nothing truly happened as the consequences of the actions of the offending men didn’t really stick. I absolutely loved the cinematography of the series, the use of lighting, and the slow mo montages focusing on all the sweet and happy moments these two had with each other. True their wasn’t a lot of food, but it can’t be denied that they did show us them going on dates and getting good food with each other. As mentioned earlier, this was a perfect drama for Son Ye Jin to make her tv drama comeback and this proved that Jung Hae In is not just leading role material, but it showcased his professional work ethic and his acting range as well. In the end, this drama was a well crafted piece that may frustrate viewers due to the actions and choices that the main characters make that was pretty much consistent with their characters. Aside from this, it gets frustrating because it offers us a glimpse at the harsh realities in different stages of a relationship, especially when the flaws of the people involved are the same as theirs. This may not be a crowd pleaser, but it deserves some praise for trying to show things that other dramas may not be able to. However, if you are a fan of Son Ye Jin or Jung Hae In, this a wonderful addition to their bodies of work that you don’t want to miss. Just make sure to pace yourself accordingly. Have you seen “Something in the Rain”/”Pretty Noona Who Buys Me Food”? What did you think about it? Let me know what you think in the comments below! I loved the old world charm, beautiful first half, very frustrating second half. The last scene was half baked with pathetic dialogues for the female lead. This could have had another episode.I’m head over heels in love with the male lead.. Hated the same song playing over and over again..But overall very realistic with fantastic supporting cast!